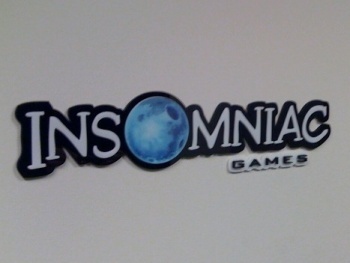 EA believes the secret project Insomniac Games has in the works for the publisher will be the cream of the crop. In May, Insomniac Games announced a deal to develop a multiplatform title with EA partners after sticking with Sony for 16 years previous. According to EA, the title that Insomniac is developing will be something universally beloved by reviewers. EA Partners head David DeMartini recently told Eurogamer that Insomniac is on the path to beat its already high review average. When asked if the secret Insomniac project would be groundbreaking, DeMartini said: "It would be impossible for me to say no to that. They're doing what Insomniac does. Insomniac makes really high-quality experiences that consumers love, and they're doing that again. They are breaking some ground with regards to gameplay. But I'm not going to sit here and say, 'Yeah, they're going 4D.'" But despite the lack of the inclusion of a fourth dimension, DeMartini continued to say: "Insomniac regularly has set a bar at 90 in Metacritic. I think this game is going to exceed that bar." He calls Insomniac's multiplatform title a "really great creative idea that they're executing on marvellously so far." Okay, great, but when will we get even an inkling of what the game is? DeMartini said: "I think sooner rather than later we're going to be sharing some early concepts on that one because they've made so much progress." Well, I'll take sooner rather than later anytime, I just hope we're not let down after this kind of trumpeting. Insomniac must be a busy bee, with Resistance 3 and Ratcher & Clank: All 4 One also recently announced, and this multiplatform title for EA in development alongside them. The name is probably fitting for the developer at this point in time.